Thomas A. Goodheart M.D. – Dr. Thomas A. Goodheart M.D. Dr. Thomas Goodheart has been Board Certified in internal medicine since 1991. He attended medical school at the University of Arizona, and received his training in internal medicine at the University of California at Los Angeles San Fernando Valley Program. 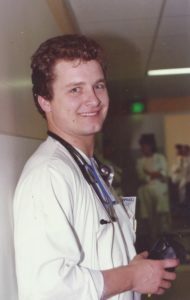 From 1990 to 1991, Dr. Goodheart was on the faculty of UCLA as the Supervisor of Residents at the San Fernando Valley Program. Prior to medical school, Dr. Goodheart attended USC, graduating with a double major in chemistry and biology. He subsequently continued graduate studies in molecular biology at the University of Arizona. Dr. Goodheart practices with a strong hands on approach to coordination of care and whole person approach to complicated medical problems. He is preventive medicine oriented in his treatment planning. Dr. Goodheart has been on staff at Hoag Hospital in Newport Beach since 1991. He worked in numerous hospitals, as well as emergency and urgent care centers from 1988 through 1997. Dr. Goodheart grew up the youngest of three children in Phoenix, Arizona. The son of a home builder, Dr. Goodheart learned growing up the value of hard work, and developed an appreciation for critical observation and detail. Dr. Goodheart lives in Huntington Beach, where he is raising three sons.